In many cases, RFID tags are only as good as the package that carries them. In recent years with the explosion in the use and acceptance of RFID, many different types of tag packaging have become available. In these cases, these new packages have been based around low-cost labels. But when it comes to the industrial use of RFID, strength and reusability are an absolute must and there is a package for that too. This package is called the Databolt™. The Databolt is most likely what you might picture when you hear that name in reference to RFID. It is literally an industrial grade bolt with an RFID tag embedded inside. 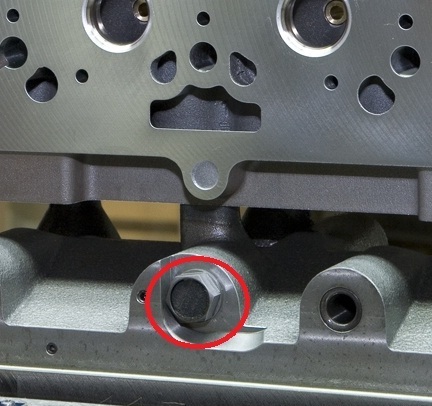 Usually the tag is located in the head of the bolt. The bolt body is usually made of a type of tooling steel which has been treated or hardened for maximum longevity. In several automotive applications today, the Databolt is screwed into a part, typically metal, programmed with data as needed and then erased and removed only to be taken back to the beginning of the process and used again. But there are new applications where a Databolt can be screwed into a part like an oil or gas valve, cylinder or plate as a bolt for example, and then used as a track and trace method for things like field servicing once the device is installed or in use. In automotive applications in order to completely automate the process, the user will use an auto-threading or “inserter” station located at the front and back of the line to insert and remove the bolts. But there are applications that also use a manual processes for this with the use of torque wrenches. Both methods can be used with most Databolt designs. When used as a field based track and trace method, the Databolt is installed as part of the final assembly process and left in an exposed position for easy field service access. 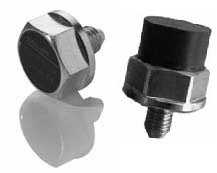 Databolts can have almost any type of frequency RFID tag placed into the bolt head as long as it physically fits. The most critical requirement though is the tags ability to be read encircled or flush mounted in metal. Some companies like Balluff provide multiple frequency options for these tags including proprietary LF (low-frequency), 13.56Mhz ISO15693 HF (high frequency) and even ISO18000-6C Gen 2 based UHF (ultra-high frequency). (See Choosing RFID For Industrial Applications whitepaper for more technical information on these technologies.) The range of detection of the tag inside is dependent on the tag type and reader head combination and can be used as read-only or read/write versions. A Databolt comes in several different options of thread types to accommodate whatever the user needs to screw it in to. Typical sizes used are from 6mm to 10mm metric, but Balluff has made bolts with custom threads including standard and MAThread. There is even a thread-less option called a Datastud™ that can be pushed or pulled out of a hole without threads in the part. Databolt in a engine block. Databolts are most commonly used today by automotive companies both in North America and Europe in tracking and providing traceability of the data and there by the manufacturing process of engine parts like blocks and heads. This Databolt is commonly used in this process because the part does not remain on the same pallet throughout the machining process and therefore the tag must travel with the part into the actual machining environment and be able to withstand the machining process. But there are also several new applications for these bolt tags that would allow traceability in the same manner for field installed device using a rugged industrialized package designed for long-term survivability. The use of the bolt based tags allows the manufacture to track and trace all the data associated with the process or field service directly on the part like a mini database, allowing the traceability of manufacturing data all along the process and/or additional field service data once a device is installed. As you can imagine now, Databolts also have application in the Aerospace, Defense, Energy, Oil & Gas and even the Medical device industries. Anywhere where on-board tracking and traceability of part and process data are critical in tough manufacturing or real world environments. So if you every find yourself looking for a way to provide data traceability in a harsh environment and think it just doesn’t seem possible, take a look into a Databolt option. Balluff has been using them for years to answer this question. You might be surprised to find it is possible using one of the oldest forms of simple technology, the BOLT. Click here to learn more about industrial RFID. 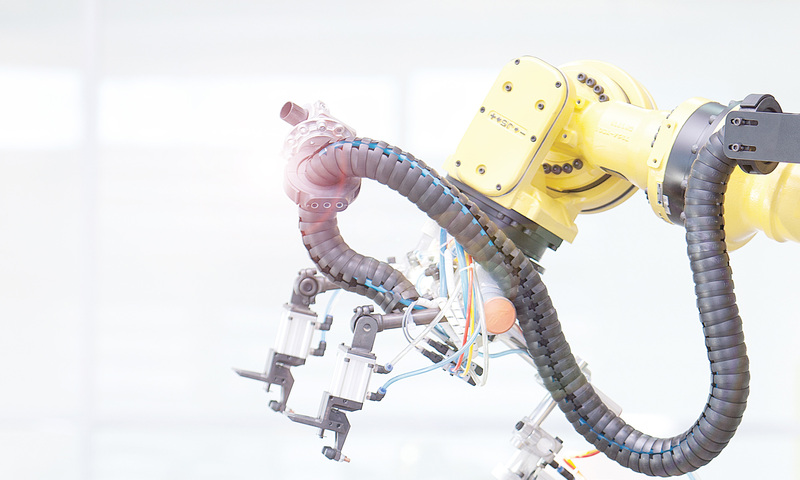 Click here to read a whitepaper on “Choosing RFID For Industrial Applications”. Mark Sippel is the North American Product Marketing Manager for Object ID and Photoelectric sensors with Balluff NA.